Intel has announced that Oracle's Exadata Database Machine X4-8, a data crunching powerhouse, will come be powered by a 15-core Xeon processor. That means that the CPU can be optimised on the fly depending on the workload and resource requirements. Based on Ivy Bridge architecture and clocked at up to 3.4GHz, the Xeon E7-8890 v2 will support up to 12TB RAM across an 8-socket node and share 37.5MB of cache. This chip is not the one that was announced last month and promised performance gains of up to 20x compared to a traditional processor thanks to a FPGA. Oracle describes the X4-8 as suited for "high-end OLTP [online transaction processing] workloads, in-memory or memory-intensive workloads, large-scale database consolidations, including DBaaS, and multi-rack data warehouses." It supports up to 240 CPU cores and up to 12TB of memory for database processing with 168 CPU cores dedicated to SQL processing. 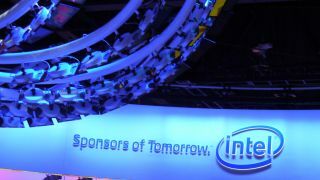 Intel is facing growing competition from its nimbler rivals, AMD and ARM, to procure customised silicon for some of its bigger clients. The company revealed that 15 custom products have been shipped in 2013 with more than double that amount expected in 2014.
Who has Intel enlisted as a foundry client?